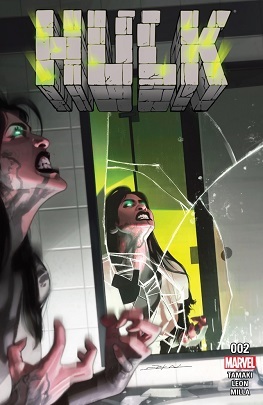 She-Hulk Going into Marvel's "Fresh Start"
With Jennifer Walters, aka She-Hulk, getting back on her feet and returning to normal very easily, it's time to look towards the future. 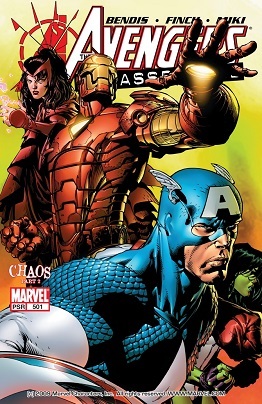 This time, it's for Marvel's newest relaunch, where she's getting a promotion to Avengers again! Oh hey, Jennifer Walters popped up again in Mighty Thor... and like everything else recently, was treated like crap. 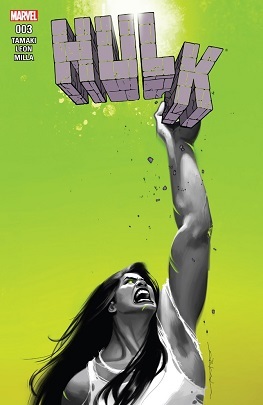 One of the series that I'm most eager to read each month when it comes out is Mariko Tamaki's Hulk. 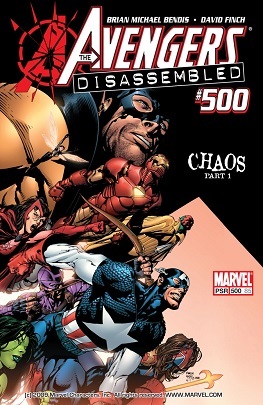 The first arc, Deconstructed, was a slow burner, but it was bloody brilliant. The art by Nico Leon allowed some good body and face acting, and it was a book that looked at how people respond to setbacks. I loved it, for reasons that I'm finding hard to articulate just now. The end of #10 does at least promise something interesting for future issues, rather than just the mystery of who will be the artist. 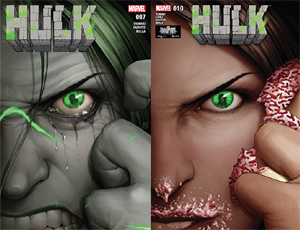 So the first story arc is over now and we finally got to see what She-Hulk looks like now... maybe. I'll explain. 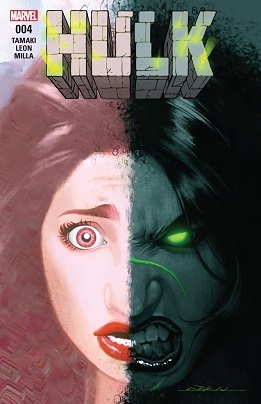 "The title She-Hulk evokes light-hearted stories about a Jennifer Walters who is at peace with herself and in full control of her powers. This isn’t that book. On the other hand, the title Hulk implies all of the baggage that comes with that comic’s 50+ year history—the ongoing battle with the monster within—and that’s why it’s more appropriate for this series. Jen went through major trauma in Civil War II, and Mariko and Nico’s story will deal with the fallout of that trauma—the anxiety and anger, sometimes self-destructive, that comes along with it. If there is light at the end of the tunnel, Jen is going to have to search hard for it, and she’s going to have to battle with some pretty big monsters—including the one within—to find herself again." Cosmopolitan: When it was first announced that Jennifer Walters would be taking over the Hulk title, was there any backlash from fans? Mariko Tamaki: I haven’t seen any. Some people are immediately like, “Yes, this is gonna be it! We’re gonna do this! I’m super excited!” and some people are like, “We’ll see.” I think there’s a trepidation when a new person comes in and starts writing for a character, which I accept. I accept that trepidation, I understand it, I have the same trepidation when I see someone new is writing a hero or doing something different with a hero, but I think mostly people are just excited to see more Hulk. Editor Mark Paniccia: This is one of those headlines that people see and it really sparks their interest. 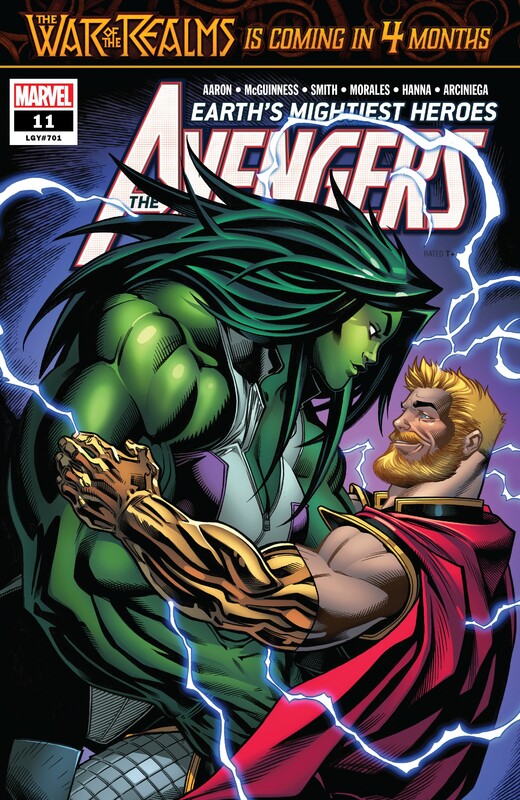 They see that Jennifer Walters, who’s been known as the She-Hulk for all this time, is stepping into a Hulk role. It makes them curious. They want to see what this is all about. This is an opportunity to take a really cool, interesting look at a character and do something completely different than we’ve ever done with her before. Really at the heart of it, this is a Hulk story. It’s man versus monster, but in this case it’s woman versus monster. Mariko Tamaki: What could be better than woman versus monster? Entertainment Weekly: What does Jen consider her relationship with her Hulk side? What does turning into the Hulk mean for her now? 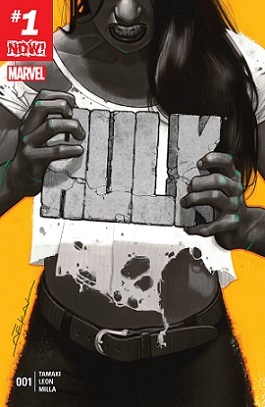 Mariko Tamaki: In the past when she is the Hulk, there’s no part of her that goes away. She’s fully conscious when she’s in her Hulk form, and she’s worked as a lawyer in her Hulk form, and she’s gone about her life. So for now, it’s become this thing that used to make her feel powerful that has now become this more alien thing and become connected to trauma. So now, thinking about the things that have happened to her is connected to changing into the Hulk. Like Mark said, it’s a scary, terrible thing, because Hulk is who she is. In a way, it’s a metaphor for trying to suppress your feelings. You can try to ignore the feelings that you have, but ultimately, there’s no way around it. If you have had a traumatic event, that thing is just going to keep surfacing inside you until you face it. Right now, at the beginning of the story, Jen is in a place where as much as it feels horrible and unnatural, she’s trying to be just in her human form. But it is a part of her, and to ignore all this Hulk stuff is to ignore the past, and you can’t really do that. Editor Mark Paniccia: In many ways, this is a classic Hulk story. Woman versus monster. Mariko Tamaki: All stories are woman versus monster.